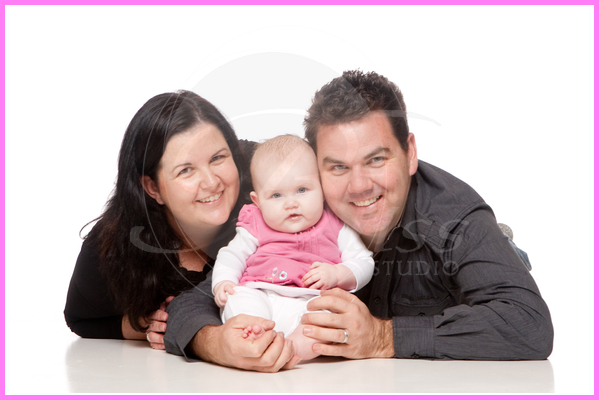 Mia was an adorably cheeky girl, whose wide gummy grin lit up the studio for her baby photographs. In the beginning she was a little shy but she warmed up for the camera and was giggling, gooing and gahing with vengeance. Her happy personality spilled over to her parents, and together they made for some brilliant family photographs.